Hello Lovelies! 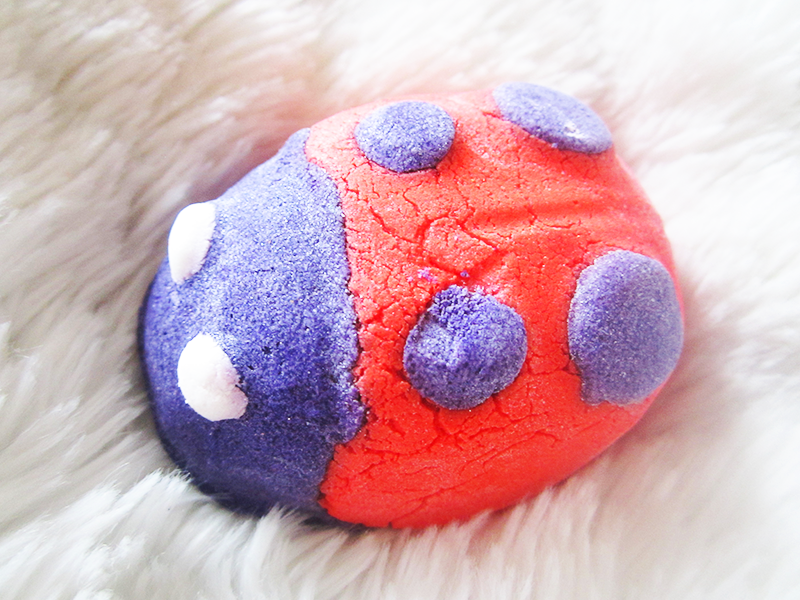 If you saw my Lush Mother's Day Collection video, you will have seen me get a little bit too excited about this adorable Ladybird Bubble Bar (£3.95). It just seemed like the perfect product for this collection, and you'd be hard pressed to miss this when visiting Lush. Scent wise this one is really interesting - a quirky mix of Geranium and Peppermint Oil, creating an intriguing yet pleasant scent with a minty kick. Not for everyone, but it's really grown on me. 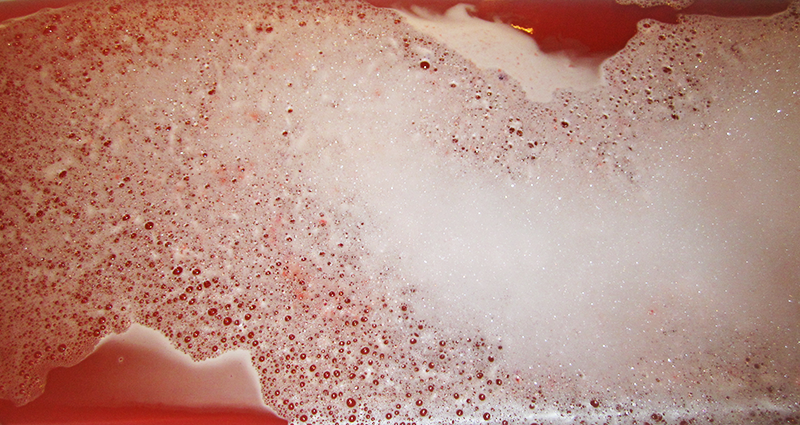 When you crumble this into your bath, it creates an abundance of fluffy bubbles and the most gorgeous red colour. Like seriously, how pretty is it? And even better it makes your water so lovely and moisturising, so much so that I didn't want to leave my bath. Whilst this is a smaller one, you can get a good two baths from it, or one if you want to go all out with the experience. 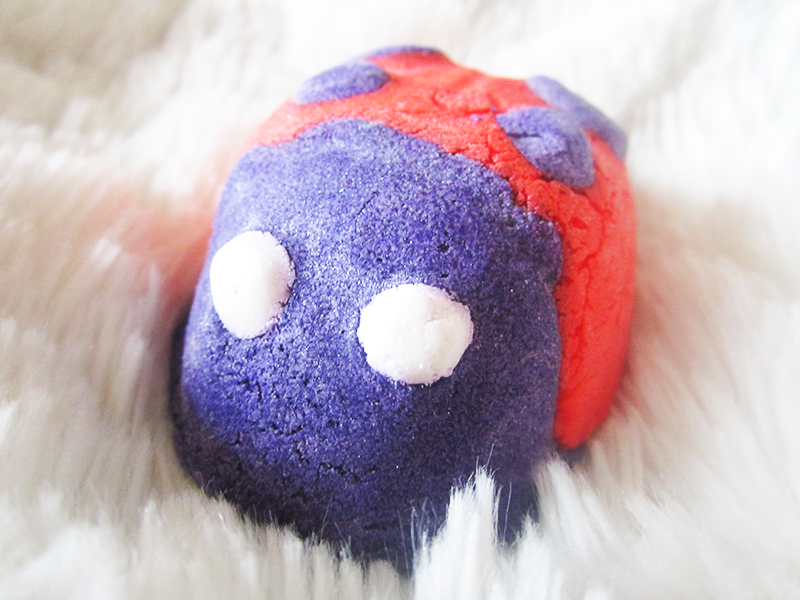 But all in all I really loved this bubble bar, and definitely recommend getting your hands on one! Definitely the perfect Mother's Day gift (or be naughty and just get yourself one!). All in all this is definitely one of my favourites from the Lush Mother's Day Collection, just being beaten by the amazing Roller Bath Bomb. If you're curious about the rest of the collection, this week I'll be doing a Lush Mother's Day review every day so keep an eye out for the rest of them. Have a great day lovelies - and do let me know if you've tried any of the collection! This bubble bar is so cute. I am so tempted to pick up bits from the mother's day collection but I don't have the money at the moment!Such a gorgeous red colour and the scent makes me curious. I really want to try this one! It looks adorable, and the peppermint definitely draws me in!